When you need premium Volvo repairs in Sacramento, come see us at	Frank’s Automotive. Our Volvo mechanics are professional and highly skilled. As an auto repair	shop that specializes in only premium brand vehicles, we are capable of	providing high end service for an affordable price. You should only trust your Volvo with the best, and that is why our auto	repair shop is the place to visit for all repair and maintenance needs. Here at Frank’s Automotive we only work on high quality auto makes	which is why we include Volvo in our list of auto repairs. Volvo is known	for its beautiful and long lasting vehicles. Their cars often feature	the latest gadgets and luxury features, making them stand out from the	crowd. They have been in business since the early 1900’s and over	the years they have perfected the art of car making. We will work on any	model or year Volvo, and our mechanics have years of experience repairing	and maintaining these vehicles. For any Volvo repair service you need, we are the auto shop to visit. Our	certified mechanics only provide the highest quality workmanship. And	because we are a specialized auto repair shop, we are able to get the	perfect parts for your Volvo quickly and affordably. Other, run of the	mill, auto repair shops will not be able to work on your Volvo properly. Their mechanics may be accustomed to working on domestic vehicles and	they may not stock the foreign parts you will need. At Frank’s Automotive, we are not just here to provide repairs after	your vehicle is damaged. We are here to help you maintain your Volvo so	it never needs repairs in the first place. Bring your car in for any maintenance	service you need. We provide Volvo oil changes, transmission flushes,	tire services, tune-ups and more. 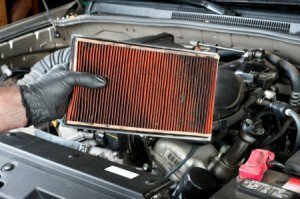 If you properly maintain your vehicle,	you can expect a much longer life from it. Talk to our expert Volvo mechanics about the right maintenance schedule	for your vehicle. For the best Volvo repairs in Sacramento, come visit our expert mechanics	at Frank’s Automotive. We have dedicated our company to servicing	only the top level of vehicle brands, so you know you can count on us	for premium, reliable services. Stop by today for all your auto repair and maintenance needs.